Halloween is right around the corner and houses are decked out with witches, spiders, graves and bats. Some adults seem to be involved in a strange competition to see who can create the most ghoulish, terrifying images and haunted basements, etc. All of this scariness is appropriate for older, school-age children and teenagers. But it can be very confusing and downright frightening for preschoolers and young children who don’t have good reality testing. How do we know they don’t have good reality testing? Because they believe in the tooth fairy and the Easter bunny. Older children with better reality testing will tell you there’s no way Santa can go all over the world in one night and he’s too fat to come down a chimney. But younger children believe he can. I vividly recall a terrified, 6-year-old coming to her therapy session with tears in her eyes. She just saw a coffin open up in someone’s front yard and a “dead person” popped out. She then proceeded to make scary noises and jump out of the dark at me, so I would know firsthand how frightened she was. Then she asked me if dead people “get out of their graves” at Halloween. I hope you will keep these thoughts in mind as you decorate and celebrate Halloween. If your school-age children are going to be around little ones, don’t permit them to wear frightening costumes. 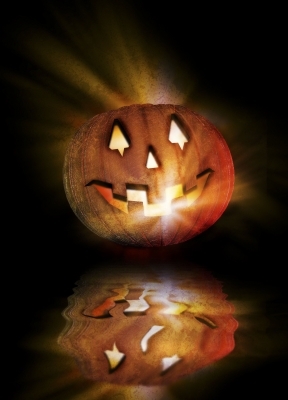 If you have younger children, serve as a protective barrier from scary Halloween sights, sounds and activities. Keep Halloween fun, as it was meant to be. Well said and very insightful article on Halloween.